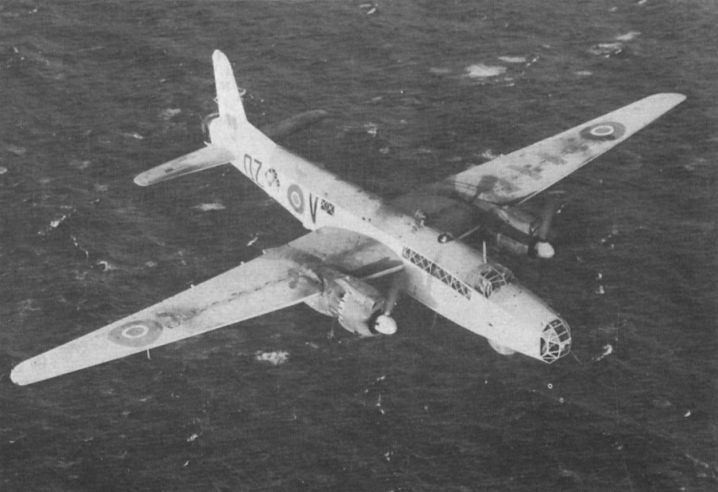 Vickers Warwick B/ASR Mk 1 BV285 of Coastal Command, photographed by CHARLES E. BROWN, survived until November 20, 1943, when it crashed at Hum after hitting a tree during take-off. The Vickers B.1/35 prototype, K8178, displays its troublesome Vulture II engines. 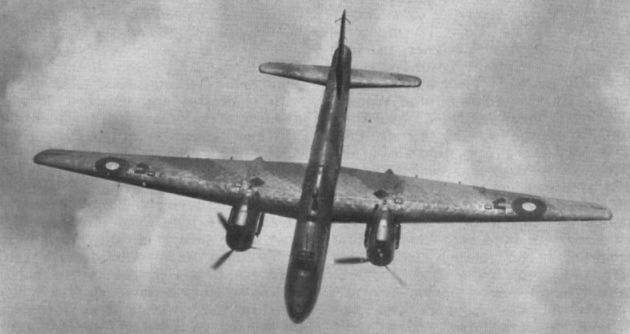 The second prototype B.1/35, L9704, with Bristol Centaurus CE1SM engines. 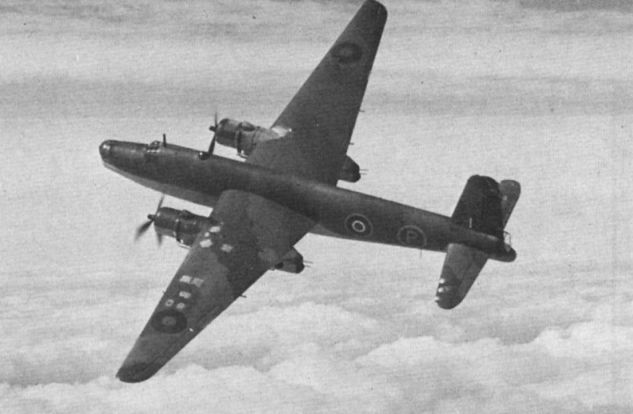 L9704 as a test aircraft for the rear nacelle gun barbettes for the Windsor bomber. 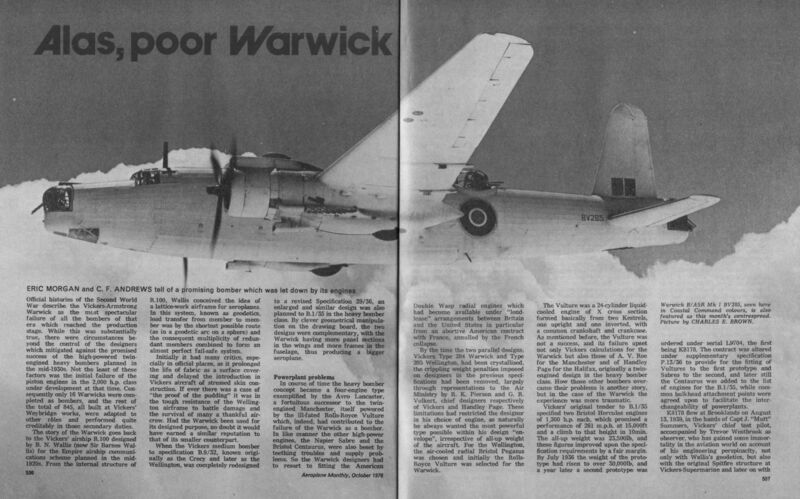 The short-lived first production Warwick B.1, BV214, with Pratt & Whitney Double Wasps. Warwick ASR 1 PN827 with 1,630lb Mk 1 lifeboat. A rigged lifeboat in front of B.1 BV351. 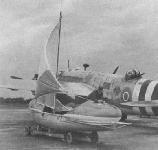 Warwick B/ASR Mk 1 BV285, seen here in Coastal Command colours. 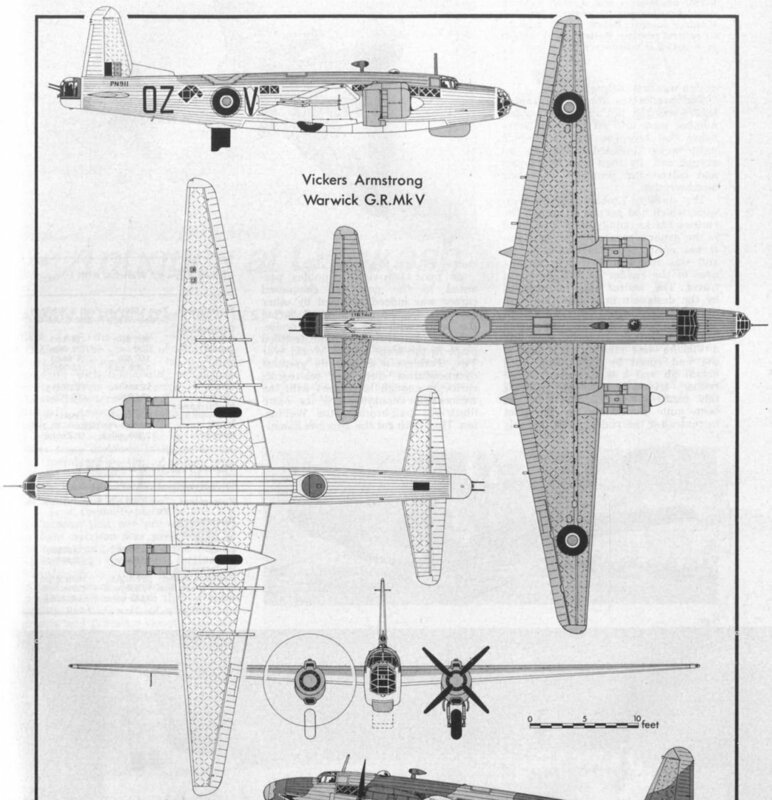 PN811 was one of 210 Centaurus-powered GR Vs.
GR.V LM789 in a post-war all-silver finish. 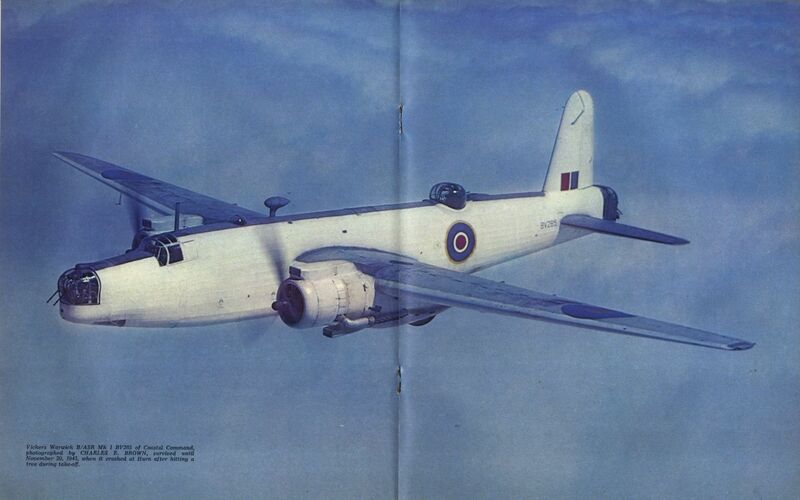 G-AGFK was one of 14 Warwick transports used on BOAC’s routes from Bathurst to Cairo in 1943. An early C.III military transport. 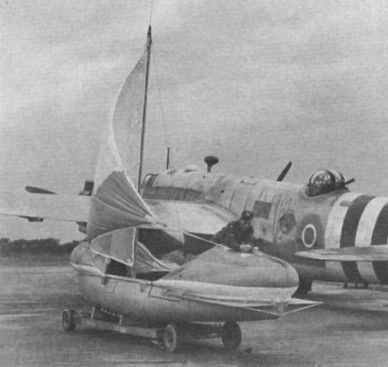 C. Mk III HG248 was used as a Napier Sabre test bed. HG248 displays its ventral pannier.